London Toy Fair was Funko’s first chance to reveal some of their upcoming product releases in 2019 and boy did they deliver this year, but what did all of the releases tell us about Funko in 2019? London Toy Fair was Funko’s first chance to reveal some of their upcoming product releases in 2019 and boy did they deliver this year. Funko showed us they are not afraid to expand legacy lines, double down on newer releases while continuing to bring us the pop culture products we love. If this week’s announcement tells us anything, it’s that Funko’s Future is strong and they’re ready to make 2019 another year to remember. For more, we review the London Toy Fair releases on the Pop Collectors Alliance Podcast. Funko has always been devoted to discovering creative ways to expand their current Pop! Lines. With a limitless amount of characters at their disposal it’s always great to see what variants they will develop next. At London Toy Fair Funko announced additions to their DC (Batman), Dragnonball, Game of Thrones, Lord of the Rings, Disney (The Little Mermaid), Overwatch, Scooby-Doo!, SpongeBob, Sports (Soccer) and Gears of War lines. Each line has a great mixture of new character and variants, complementing an already diverse portfolio. Expanding lines is fantastic, but as fans of everything Funko we are always on the edge of our seats waiting to see what new licenses they will acquire. Every funactic has a checklist of Pop! they would like to see in a 3.75 inch mold (Hayao Miyazaki PLEASE!). 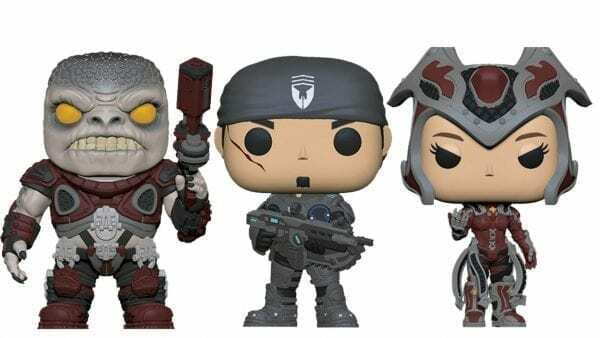 Fans of Office Space, Warhammer 40K, Bewitched, and Persona5 can check that box off their list as Funko announced these lines at London Toy Fair. New lines almost certainly equates to new convention exclusives and be assured Funko will throw us some curve balls throughout the 2019 Convention Season. In 2018 Funko introduced fans to Primal Age, Five Star Figures and an expansion of their Vinyl product line. This year they showed everyone they are committed to the success of each of these lines by announcing releases for Harry Potter Vinyl and Five Star Figures, Disney incredibles Five Star, and DC Primal Age. We are almost guaranteed to see additional releases for each of these categories at New York Toy Fair this month. What does this mean to us as Collectors? One thing is certain: Funko isn’t going anywhere. They have proven year after year they are a cornerstone within the collectibles market and aren’t afraid to try new things. With an all-out attack of releases from London Toy Fair there is sure to be hundreds more at New York Toy Fair. 2019 should be filled with TONS of Funko releases just as 2018 was. One thing remains true, since Funko was founded in 1998 they are company dedicated to bringing fans what they want. Keep up the great work just take it easy on my wallet please.